Joey lunging not for time. Clock starts for run on rising from last squat. 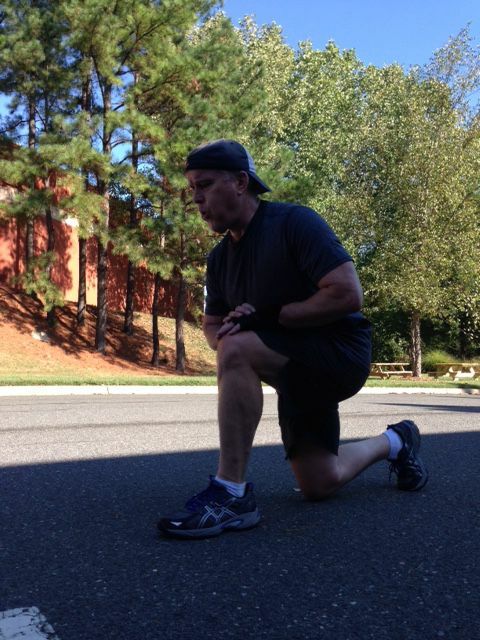 The Tabata Bottom to Bottom Squat is a Tabata Squat but each rep begins at the bottom and ends at the bottom. The turn around at the top is immediate - no pause. The ten-second rest for each interval is also held at the bottom of the squat as opposed to the top. Interestingly, this squat, in contrast to the "normal" Tabata squat, motivates full hip extension. Also, the ten second rests don't seem as short with this protocol!